Many people around the world rely on private sector drug sellers to access medicines and basic advice—especially in rural areas, where a clinic may not be conveniently located. Although these drug sellers may be trusted in the community as the first point of access to medicines, problems include untrained and unqualified staff and unreliable drug quality. Since 2000, MSH has worked with the public and private sectors to increase community access to high quality medicines and pharmaceutical services through drug seller initiatives that encompass standards, training, supervision, economic incentives, legislative reform, and regulatory inspection and enforcement, all centered on a foundation of stakeholder consensus. The purpose of this website is to share our drug seller initiative experiences and tools and the experiences of others to provide a resource for those with an interest in improving access to quality pharmaceutical services and products provided by drug sellers in other countries. 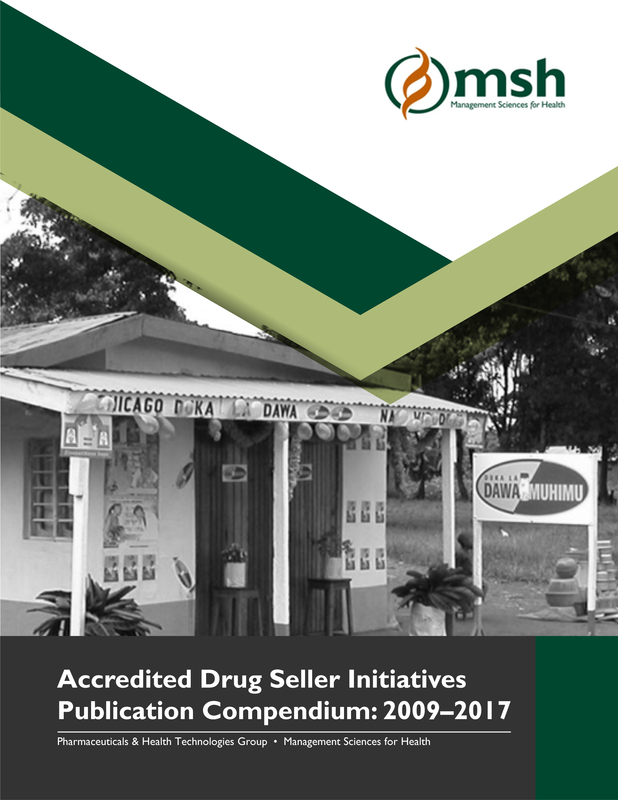 Over more than a decade MSH authors have published a number of journal articles describing the accredited drug seller implementation experience and lessons learned in Tanzania—home of the flagship ADDO program. Ranging from robust multi-method quantitative research to informative qualitative research, the following compendium is classified by overarching topic and includes links to the full articles, if available.